A Bus Called Mr Nice Guy. ISBN 0-473-10526-8. Auckland: Perdrix Press, 2005. [ii] + 50 pp. 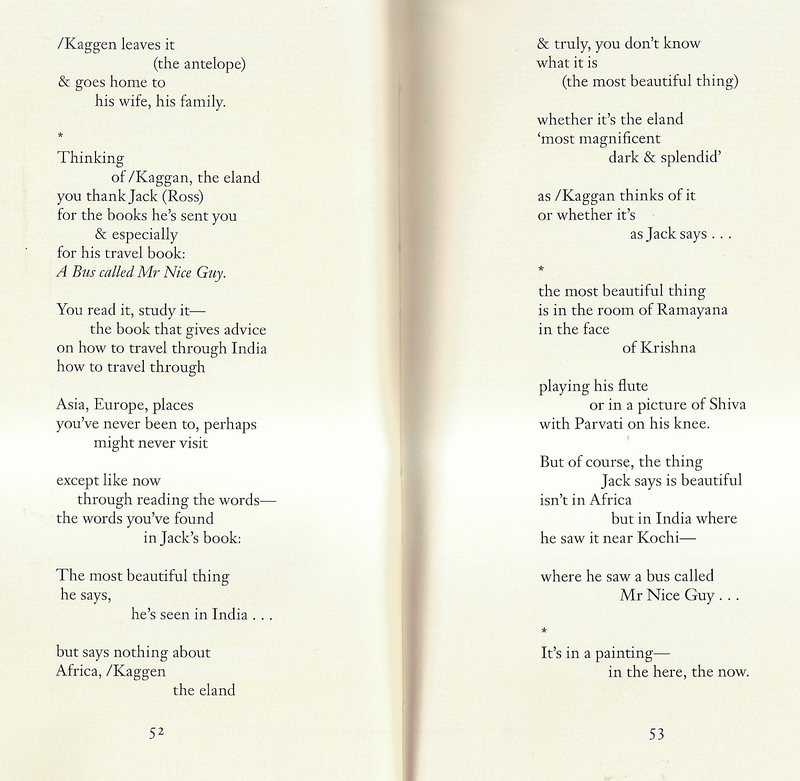 [Signed edition of 50 copies]. - How do you like Kochi? - Is it the moment? Raewyn Alexander. Takahe 57 (2006): 59. 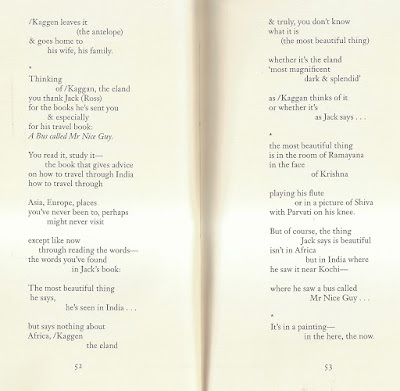 Prose, poetry, observations and quotes conjure up through their vivid everyday otherness, a sense of travelling along with Ross through India ... 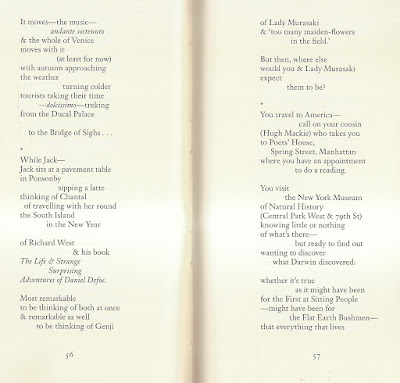 This book speaks of travel, danger, poverty, oddities, commerce and friendship, and in its fractured elegance evokes a picture of one man’s experience in a land quite foreign to him. Alistair Paterson. 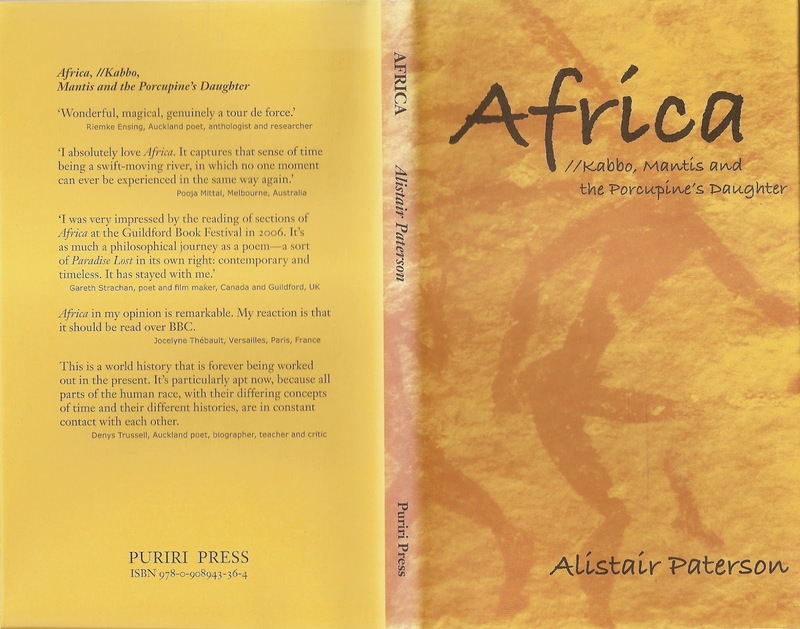 Africa: //Kabbo, Mantis and the Porcupine’s Daughter (Auckland: Puriri Press, 2008): 52-53, 56-57 & 70. 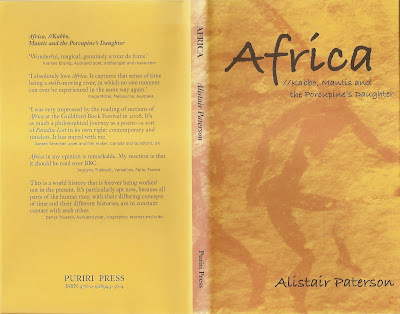 Alistair Paterson: Africa (30/6/08): pp. 52-53 & 56-57. 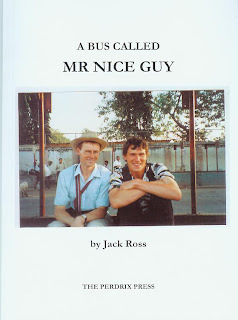 A Bus called Mr Nice Guy. 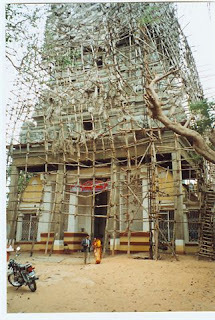 with Parvati on his knee. in the here, the now.